Although there are plenty of overviews on the benefits of online collaboration, nothing has the same power as a use case that reflects your company’s culture and challenges. 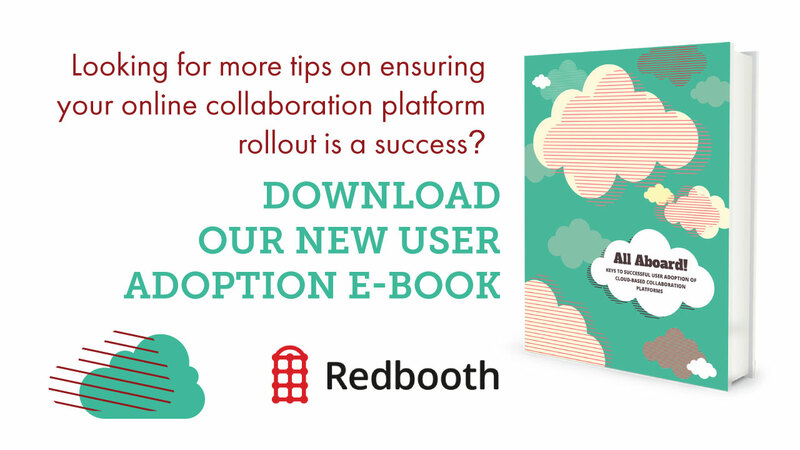 That’s why your first step in working towards a successful launch is to uncover how your organization would uniquely benefit from a cloud-based collaboration platform. You do many things well. How can collaboration help you do them better? What isn’t working well now that collaboration can help you overcome? Collaboration does not replace email. Email is familiar, useful, and here to stay. It works best for short, direct communications, but becomes clumsy when used for back-and-forth collaborative activities and conversations. Effective collaboration platforms actually incorporate email as one of many tools that help teams keep projects on track. 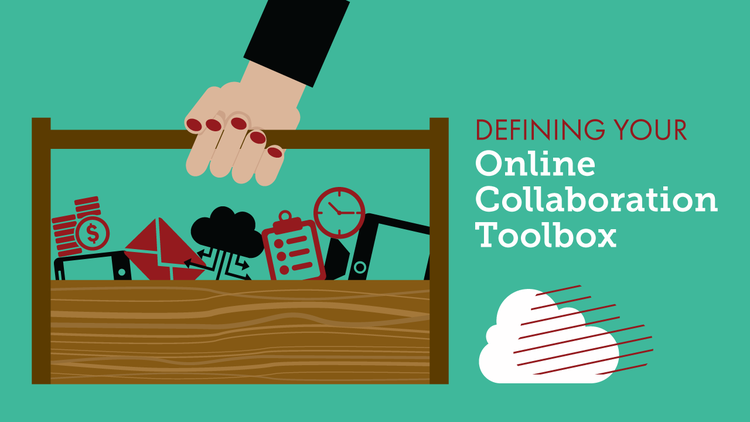 What is the business value of online collaboration? How—specifically—would it help us do what we do more efficiently? How are tasks managed now? Email? Spreadsheet? Wikis? Are project teams typically in the same building or geographically dispersed? How do group members interact? Personal meetings? Email? Conference calls? Chat? Video conference? Is there an existing collaboration/project management platform? Who uses it? How well does it meet the need? When people go on vacation or leave the organization altogether, what happens to their projects? Can the organization access that organizational knowledge, or is it lost in a terminated email account? Are there cultural or language barriers to consider? Use the insights from these informal discussions to develop an online survey that you ask potential users to complete. To attract participation, offer a tangible reward—such as a gift card or an iPad—to those who complete the survey. With the knowledge and insights gleaned from informal discussions and the formal survey, you can position yourself to manage a successful user adoption initiative. You don’t need to spend hundreds of thousands of dollars hiring specialists to design, administer, and interpret surveys. Using the information you gathered from your informational interviews, you can draft a few questions to dig in to identifying the need within your organization. In this case, you need to create questions that establish the need to invest in a collaboration platform. How often would you use a desktop video conferencing app? Online survey tools such as surveymonkey.com or Google drive can host your survey and tabulate the results, providing you with the data you need to develop an action plan. We’ve even created a sample Google form-based user adoption survey you can copy and modify. Tune in to Radio Station WIIFM — What’s in it for me? Unwillingness to share information—People working in competitive environments want to avoid giving adversaries potential weapons. Some may view collaboration as a threat to job security and even exploit a collaboration platform, feeding misleading information into it to deliberately sabotage rivals. In extreme cases, the organization may first have to confront some deeply rooted, harmful practices and work values. “Us vs. them” group mentality—Larger organizations can unwittingly create functional silos that impair collaboration between groups such as product development and marketing. Introducing collaboration within groups may naturally lead to collaboration between them. Distrust in management—Stratified organizations may suffer from distrust between authoritarian managers and their employees. Teaching managers to coach instead of control, to reward instead of punish, leads to a more receptive environment for collaboration, which emphasizes capabilities and communication instead of job titles. Cultural differences—Global organizations must address and reconcile disparate behavioral norms between groups in different nations. Looking someone in the eye is expected in the United States, but can be offensive in Japan. Collaborative capabilities such as HD video conferencing help people from different cultures to connect not just as colleagues, but person to person. A CEO wants the assurance that when an employee leaves the company, that person’s organizational knowledge resides where others can use it. A project manager needs to hold team members publicly accountable for completing assigned tasks on time. A marketing manager is afraid of missing out on the latest discussion. An administrative assistant wants to reduce the number of people pestering him for status updates. An outside contractor wants to feel more connected to team members in the main office. Based on your survey results, you will now be able to better communicate to your stakeholders the organizational benefits of deploying online collaboration within your company. You’ll additionally be prepared for potential launch sticking points, having identified where current issues and challenges are today, which enables you to proactively address those issues in your launch communications plan.